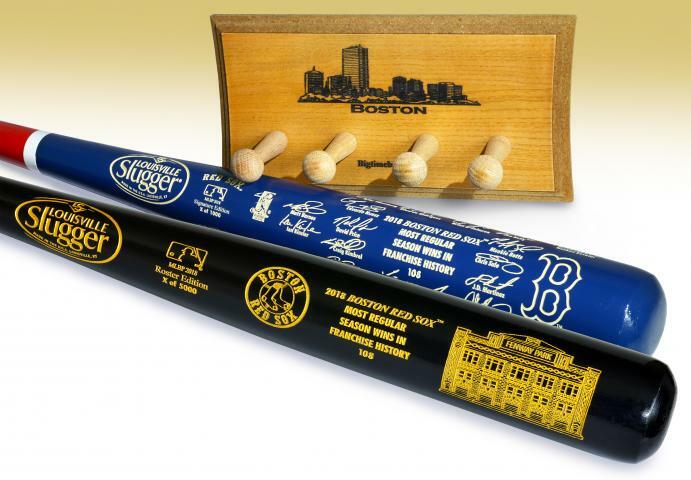 This is a very unique MATCHED SERIAL NUMBER two bat set that every Red Sox fan will love to have! 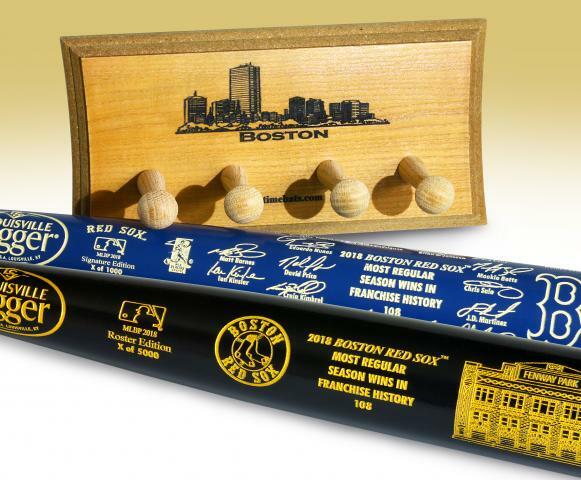 The set features one (1) Boston Red Sox Most Wins in Franchise History Roster Bat, one (1) 2018 Red Sox team signature bat, and (1) Boston Skyline two bat display rack. The Roster Bat is sold individually, but the first 1,000 of those bats are reserved for matched numbered sets. 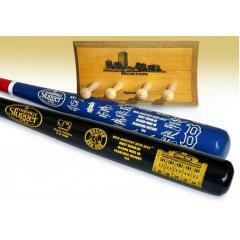 Sold exclusively in this set is a Louisville Slugger Boston Red Sox two tone team signature bat. 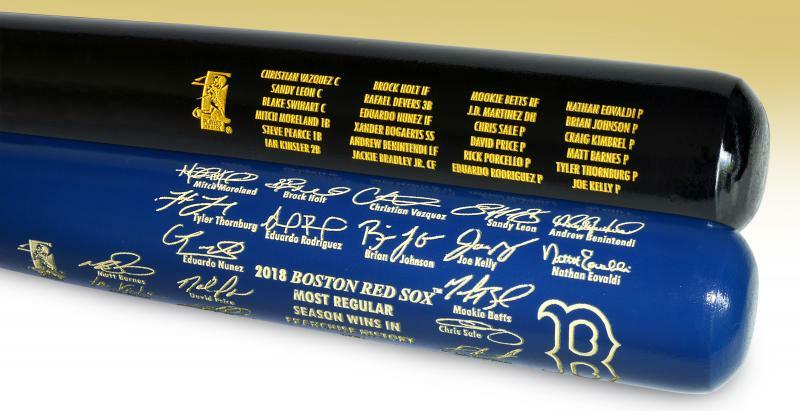 This bat features the facsimile signatures of the 2018 Red Sox players and is strictly limited to a mintage of only 1,000 bats. This unique matched number bat set will not last long so order yours before it is sold out! Due to the limited nature of this offer we must charge your credit card for the full price immediately upon taking your order. This policy ensure we reserve a bat set for you. We will confirm your order by email. These bats are not game used. Each bat is officially licensed by both MLB and MLBPA. Please allow 4 to 6 weeks for delivery.